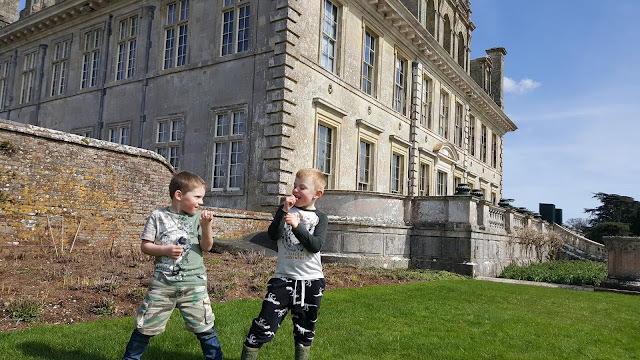 I thought I'd do a little catch up post and talk about what we've been up to recently. 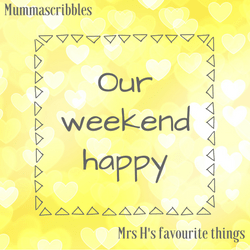 It's been a busy week - whenever Elliot is on school holidays we always cram so much in because I feel like I need to make the most of it! 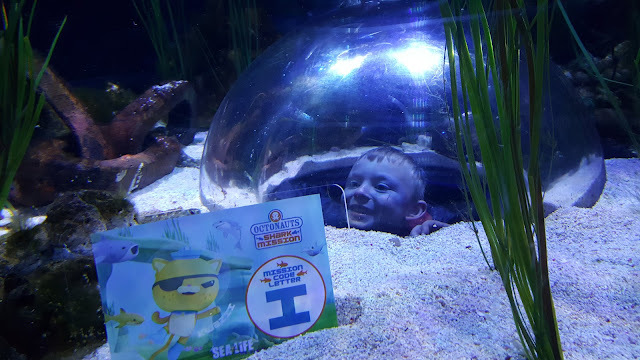 Easter weekend was a bit of a drizzly and cold one but we visited the Sea Life Centre at Weymouth on Good Friday which was fun. Although the weather meant we couldn't play in the amazing playground which Elliot was a bit gutted about! We didn't have much planned on Easter Sunday but made a last minute decision to go along to a Moo Music messy play event that was being held locally. 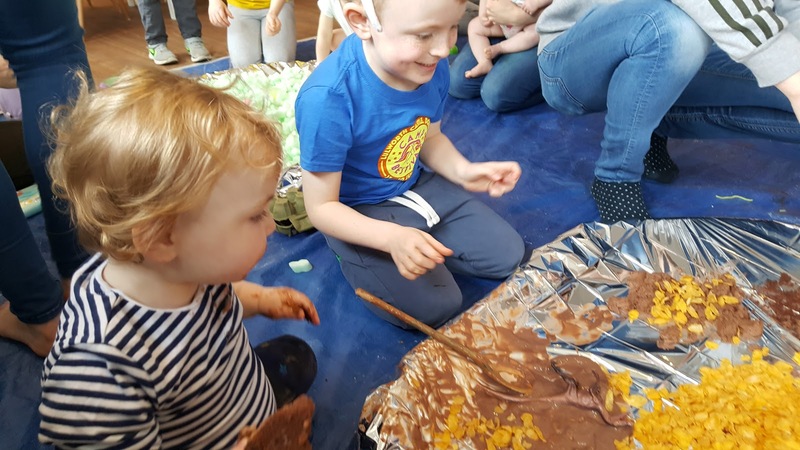 The kids had a great time getting messy, Erin's favourite play station featured chocolate cake and cornflakes and she pretty much didn't move from there! We popped into my parent's house in the afternoon for the annual Easter Egg hunt. 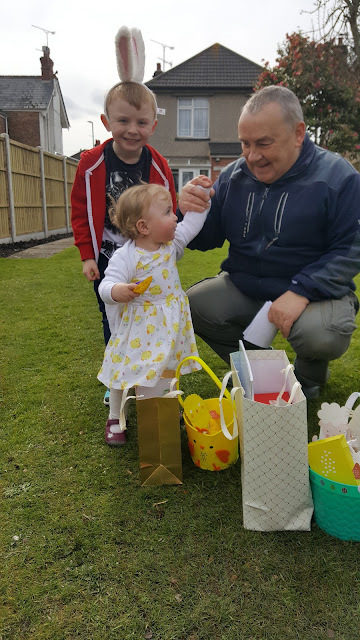 It's become a bit of a tradition since Elliot was little and I've told my Dad he'll still be doing it when the kids are in their teens! check out Erin's very cute easter dress! We had a bit of a double whammy with Elliot's fave Andy Day this week. Not only did we see him do some dino raps down in Dorchester but we also had a day out in Bristol to see him and his band The Odd Socks. Erin came along to this one too and it was so cute watching her clapping and dancing. She's definitely a fan! We just love this band, the songs are so fun and they are always so friendly. We dodged the showers and headed out for some fresh air this week and ended up at the same place both times! Kingston Lacy is a stunning National Trust property with beautiful grounds that we return to again and again. 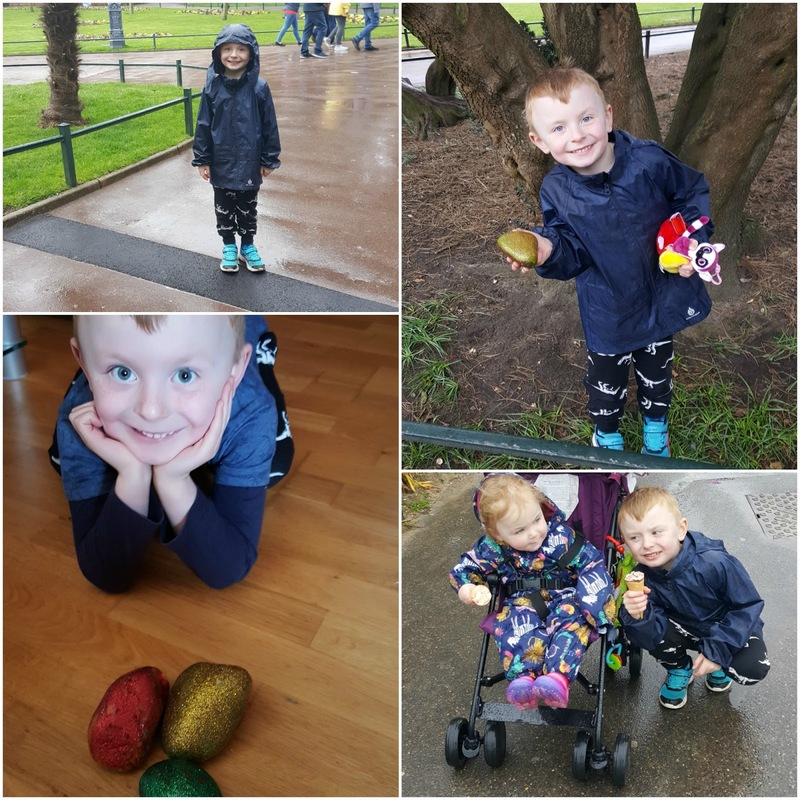 We met with friends, did an easter hunt, waded through muddy puddles, had a picnic, climbed trees, found painted rocks...we had lots of fun. Pretending they were in a band! The weekend ended with an impromptu visit to Bournemouth Gardens to hunt for rocks. We're getting a bit addicted to this new hobby - we love painting them and hiding them but we love finding them too! Our local rock page on Facebook organised a big rock drop yesterday in Bournemouth so we woke up and decided to go down. The weather was terrible and we got drenched but we found loads of rocks and even managed to squeeze in an ice cream! We have a few things planned for the week ahead but it all depends on what the weather decides to do. I'm sure we'll be out and about hiding rocks at some point! What have been your Easter Holiday highlights?